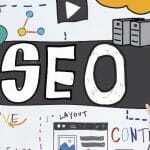 SEO Services for Drupal websites – Are you looking for the best SEO services for Drupal websites? Do you want your Drupal website to rank higher on search engines? If yes, then you are at the right place. It is very important to give the right SEO services to your Drupal website to improve the rankings and traffic. We provide the best SEO for Drupal websites and you can rely us on for quality services. Who does not want their website to rank higher? Do you want loads of traffic attracted towards your website or blog? Drupal is a content management software which acts as an amazing platform for creating and maintaining new websites. If you will provide quality SEO services to these websites then they will not only attract a lot of traffic but also will rank higher on search engines. Drupal is one of the best content management software which allows you to make many of the applications and websites that you use on the daily basis. Drupal has some of the many amazing features that a website requires to excel in its field. Below mentioned are some of those features in the list. It has reliable performance that will not disappoint you at all. It comes with excellent security that saves all you data and important information. 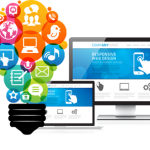 The phenomenal feature that sets Drupal websites class apart is flexibility and modularity. Drupal has some amazing tools that help you to create content and other things that are required by the websites to rank higher. 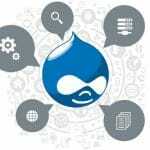 Why Choose Drupal for creating websites? Drupal is one of the best open source content management systems available for designers, bloggers, marketers etc. It offers a varity of and very easy to customize. Also this software l is frequently updated and is extremely safe and secure. This is easy to tune for optimum performance which makes it a good choice for the high traffic website and also for the newbie. It has so many other unique and creative features that make it different and best from any other content management system. How can you optimize your Drupal websites? Like every other website, optimization of Drupal website requires the same process and steps. It is extremely easy to optimize Drupal websites on your own if you have idea of optimizing. Below mentioned are some of the very basic steps that are required for the SEO of Drupal websites. Make sure to use descriptive titles. Do not forget to add top searched keywords in the URL. This is the best way to gain the attention of target audience. Keep your content focused, detailed and specialized so that people can easily relate to it. Look for the on page and off page optimization tools that will help your website to rank higher. One of the best ways to improve the SEO of your Drupal website is through SEO modules. There are many different kinds of Drupal SEO modules present to benefit you. Below mentioned are some of the SEO modules for Drupal from which you can choose anyone according to your choice and website. 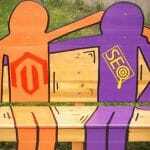 What makes you choose WebHopers for the best SEO services for Drupal websites? 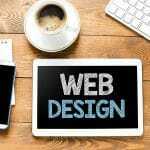 There are plenty of other SEO providing companies for Drupal websites but what makes difference from all of them is the quality service and loyalty towards our customers. You will not observe numerous beneficial changes the moment you will link to us. Below mentioned are some of the other reasons to choose us over other anytime. You cannot optimize your website professionally. We will add every bit of professionalism in order to get your website higher ranks on the search engines. We have a team of professionals that will put in the right effort at the right time that will give you loads of genuine traffic. You can trust us for quality service anytime; we will not let you down in any case. Unlike many other SEO providing companies we are budget oriented that means you can expect better results even if you have limited budget. You will more traffic, profits, sales and returns after connecting with us.